How did the Singapore Sign Language develop? Singapore Sign Language (SgSL) is Singapore’s native sign language which has developed over the last six decades and evolving. SgSL, like all other sign languages elsewhere, evolved organically from local deaf persons over time. Generally, the signs used have been long accepted by the local Deaf community. Also, as part of our SgSL research and development, we have regular SgSL consultation sessions involving members of the community. 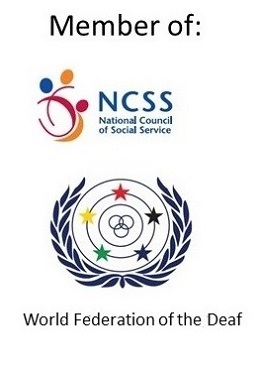 As a mode of communication and socially recognised and endorsed by SADeaf in Singapore, we believe that it will continue to gain wider traction as SgSL will also be incorporated into the syllabus of upcoming designated mainstream schools and taught to the younger generation of deaf. To people who are deaf, what are the benefits of using sign language to communicate, instead of texting /writing /lip-reading? Sign language is the natural language of the Deaf community. This is not about benefit but form of communication, for the Deaf to relay ideas, feelings, sentiments, share history and culture, similar to any other languages used around the world. How is sign language for new phrases (e.g. Marina Bay Sands, Gardens by the Bay, GrabTaxi, Instagram) and other local phrases (e.g. shiok, Sentosa, nasi lemak) developed? Are the alphabets or pronunciation or the look of the building considered when developing these signs? Sign language for new phrases are developed in consultation with our Deaf/Hard-of-hearing community. Normally, the signs such as MBS are based on the iconic shape of the buildings or places. Who usually goes for the sign language classes? Mostly deaf people, or their family/friends? Sign Language classes are more for the hearing who are interested to learn the language and/or wish to interact with the Deaf/Hard-of-hearing community. It is also for professionals who need to communicate with the Deaf/Hard-of-hearing in their course of work such as those in the medical field. The classes are also for families who may have a deaf sibling, spouse, friend, etc. Any free alternatives or mobile apps to learn sign language? We are currently working on developing a mobile app to promote our Singapore Sign Language (SgSL).